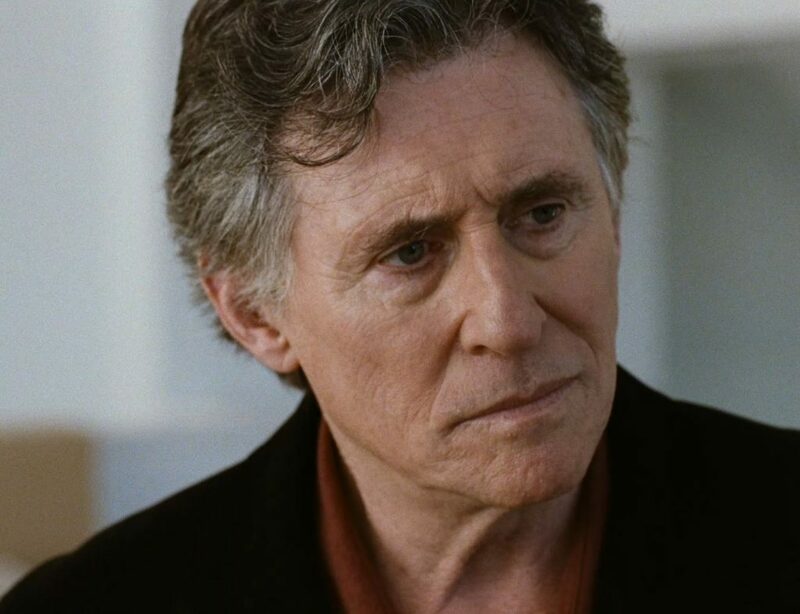 LOUDER THAN BOMBS: Interviews with Gabriel Byrne–Updated! And oh, how I agree with him, after spending the past two weeks going through boxes and boxes of family photos and clippings! Who are these people? Is that my mother staring back at me, in a candid shot so faded with age I can barely make her out? There’s my younger brother, one minute a tiny boy with a lop-sided smile, the next a strapping rugby player. How can that be the same person? And there I am, at age 4, recovering from a tonsillectomy. Is that really me? 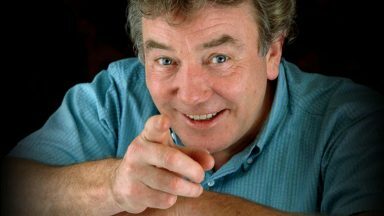 In the interviews gathered here, Mr. Byrne talks about time and what it does to and for us. He also talks about Louder Than Bombs, his latest film. And politics. And life. And The Brady Bunch. He inspires and enlightens, and occasionally he mystifies us. 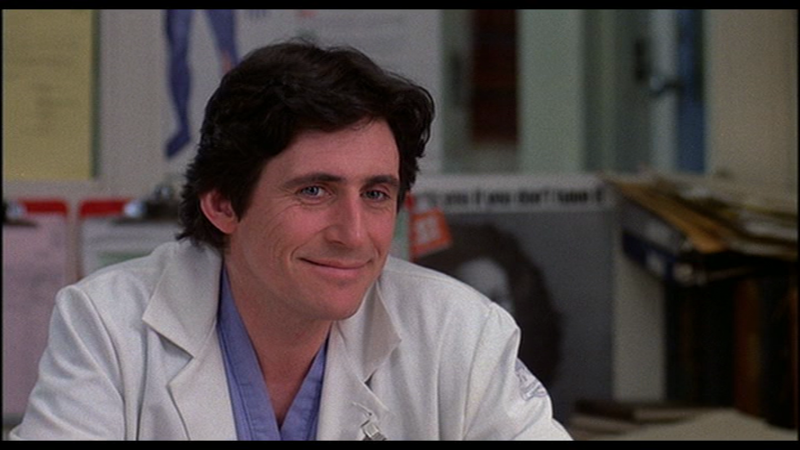 It is always a good thing, to listen to Gabriel Byrne. These days, he tends to work when he feels the need. His latest film, Louder Than Bombs is by Joachim Trier, the Norwegian director behind Reprise (2006) and Oslo, August 31st (2011). 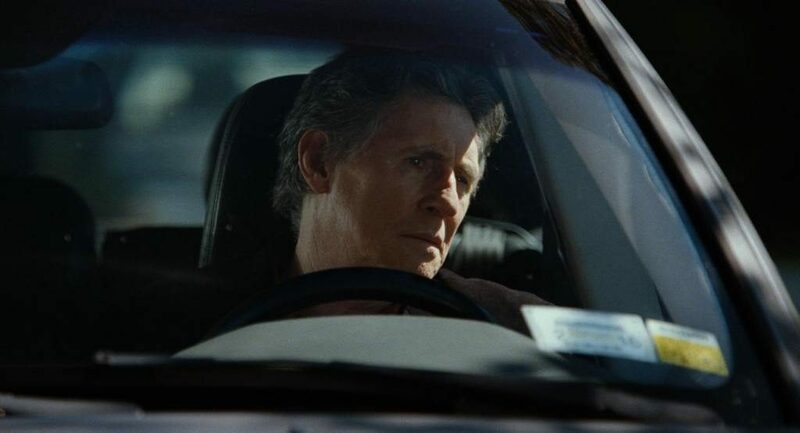 Louder Than Bombs, Trier’s first English-language drama, is the tale of a well-meaning father (Byrne) and his fractious relationship with his two sons (Jesse Eisenberg and Devin Druid), who are trying to cope with the loss of their mother (Isabelle Huppert) after a car accident. It’s a tender, tortured performance from Byrne, who has two children of his own, John ‘Jack’ Daniel and Romy Marion, now both in their mid-twenties, from his marriage to actress Ellen Barkin. It’s why he loves the way the film [ends]. 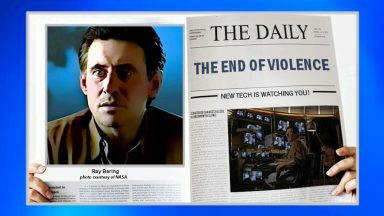 I will continue to add interviews here as they are published! 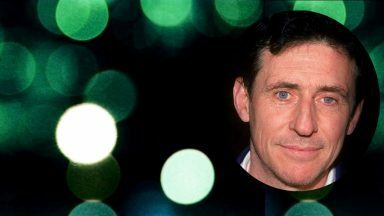 Gabriel Byrne is discussing the business of being an Irish actor abroad during the 1980s. He’s got plenty to say. 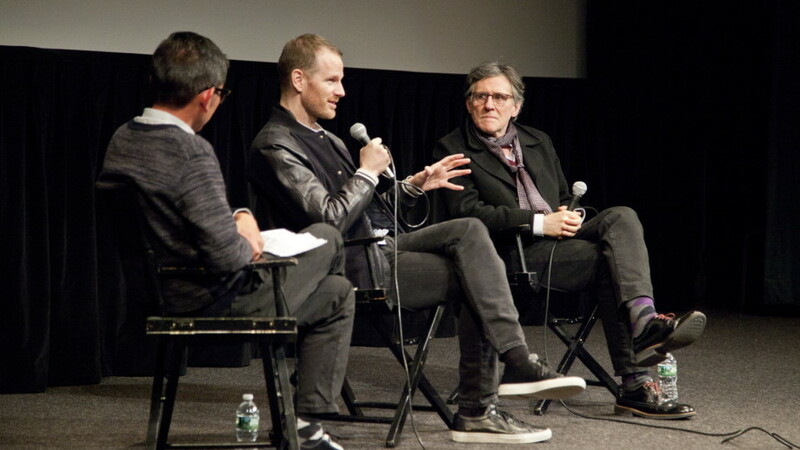 Long before he had agreed to star in Louder than Bombs Byrne had been impressed by the films of Joachim Trier (Oslo, 31. 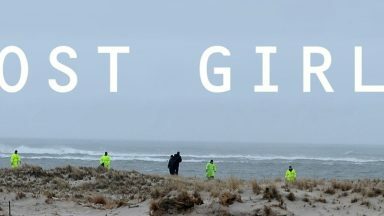 August, Reprise), and says the 41 year-old Danish director has a “unique voice and a singular vision”. He recalls responding with a quick, “Okay, fine”, when Trier asked if he could use footage from his 1987 film, Hello Again. But then he watched it. 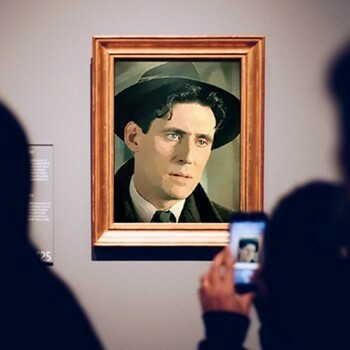 “I didn’t realise what he was actually saying until I saw the scene,“and I thought my god how often does that happen in a piece of work that you get to see yourself from so long ago and then you get to see yourself now? It was interesting how innocent and young I was and you look back with a kind of hindsight and you say, ‘why was I so afraid, why was I so lacking in self-esteem and where was my confidence? I suppose that’s a product of being young but it’s also a product of culture as well. If I could go back I’d wish I had a sense of how unimportant most things are,” he says. 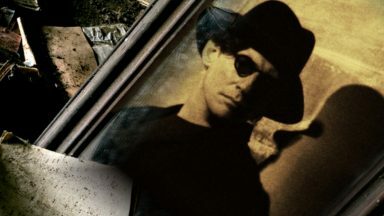 Byrne never watches his old movies on television not even masterpieces like Miller’s Crossing or The Usual Suspects. Joachim Trier’s first two features, Reprise and Oslo, August 31st, both screened in New Directors/New Films. 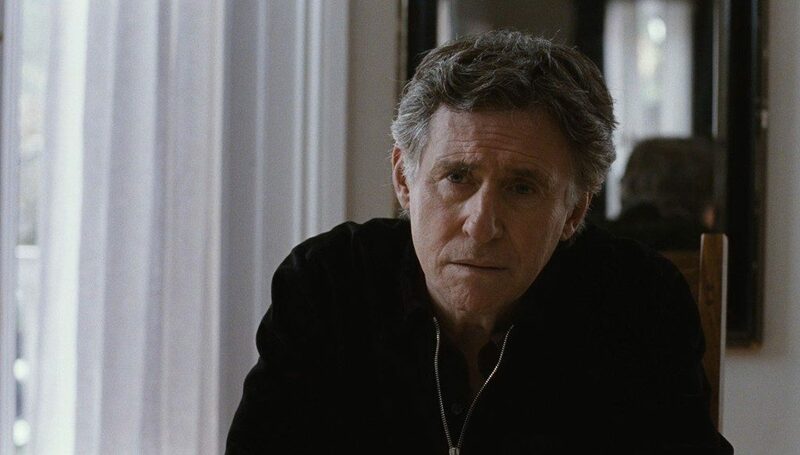 Louder Than Bombs is a moving family drama starring Gabriel Byrne, Isabelle Huppert, and Jesse Eisenberg. 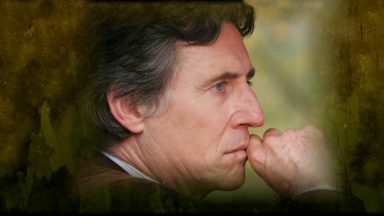 The director and surprise guest Gabriel Byrne joined us last week for a Q&A prior to the film’s official release last Friday. The Louder Than Bombs interview begins at 11:40 on the track. There seems to be a lot of dramatic potential in portraying messed up families. I know this seems like a ludicrous comparison, but one of the shows I used to watch growing up in Ireland was “The Brady Bunch.” It produced a kind of incomprehensible envy in me. Those people had orange juice for breakfast and a father bounding down the stairs to give a kiss to the mother and the kids are all sitting around talking to each other so open and honestly. Then you think of something like “Long Day’s Journey,” which examines the reality of the complexity of family ties and neuroses and resentments and hatred and love. Or “Louder Than Bombs,” which is trying to look at the effect of grief on a family and what does it mean to be a father or a working mother? And how children pull away from their parents to develop their own identities. It’s the opposite of that warm fantasy of a family, that family I wanted to be in. O’Neill’s particular genius was this play, which is intensely autobiographical, is paradoxically universal. People will say, I know that situation. In “Louder Than Bombs,” we all know those moments of adolescence. We know about grief. What appealed to you about the role in “Louder Than Bombs”? We’re brought up to believe the heroes in our society are movie stars and basketball players when real heroes are people who go on from day to day. That’s heroism. Here’s a man trying to bring up two kids, both of whom are deceptive in their own way. The drama asks questions about not just grief but about life and death. And when you think about it, there’s only two things that matter. Life and death. On a lighter note: Your character is a former actor, and there’s a scene in the film where your sons, including the older one played by Jesse Eisenberg, look at one of his old clips, and it’s actually a scene from the “Hello Again,” a 1987 Shelley Long vehicle in which you had a key role. How did that get in the film? [Laughs] I told Joachim, “I don’t know how I feel about that.” But to me it wasn’t about looking at a clip of an old movie I did. There’s a pathos to it. That scene was shot in the first two weeks I’d ever set foot in America. That was my young, naive self sitting across from someone I’d never heard of, who used to be mobbed during lunch hours. I was playing what the studio thought I was best suited for, which was light romantic comedy. I had a horrible experience making the film, to be absolutely honest. But it made me think that you age in a different way on screen, which is one of the things that’s brilliantly done in “Sunset Blvd.,” which is the most extreme case. Most people don’t have themselves frozen like that in time. Although I’ve physically changed, I’ve also changed psychologically, emotionally and mentally, too. Those insecurities I had are not there so much anymore. Life does that to you. You ask yourself, “Does it matter if I f— up this take? Or does it matter if I just commit to it, do my best and enjoy it as much as I can?” Still, it was slightly unnerving having Jesse say, “I can’t believe you looked like that.” I was caught in a moment of reacting as my character and as myself — Lex Luthor making fun of me. A bigger question might be: How many from 1987 can match Byrne’s virtually nonstop career? “It was the first color TV series in Ireland. I played an anti-­establishment protagonist and became very popular. That seems like 10 lifetimes ago. Most of the actors I worked with on that have all died, way too young. 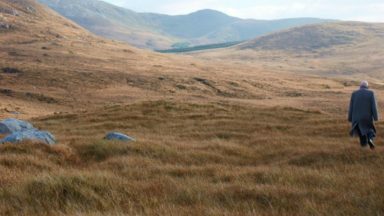 Perhaps as a brief respite from talking about his new film and his new play, Mr. Byrne took the opportunity to share his thoughts on the current political climate in Ireland! 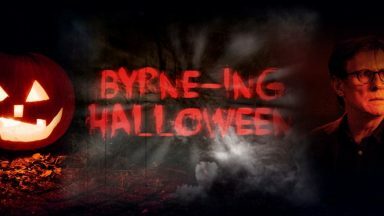 Byrne highlighted that he felt it was a shame that, after the economic collapse of 2008 and the growing dissatisfaction among the people with the system of governance that “an alternative political will failed to coalesce, and that anger and that marginalisation that people have was not harnessed into a concerted positive action. So now, five years later, we have the same Tweedledum and Tweedledee situation where we’re asked to choose between people with different colour ties, essentially”. 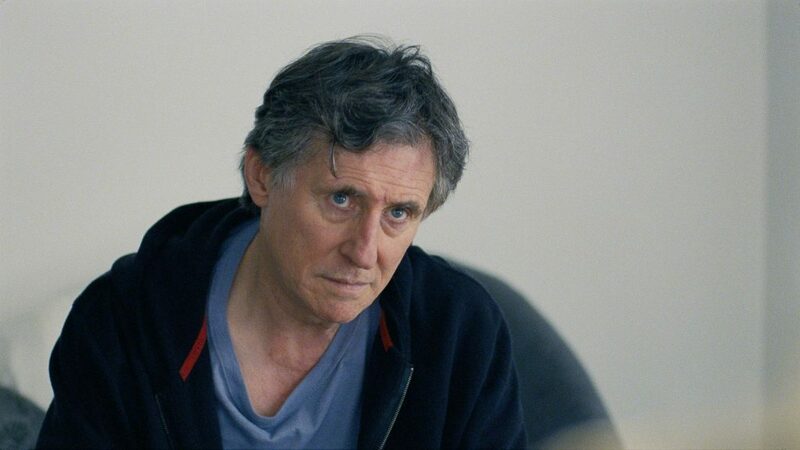 Enjoy this clip from Louder Than Bombs, with Gabriel Byrne as Gene and David Strathairn as Richard. Couldn’t agree more. Love the video clip. Thanks so much, Scarlett! You make me blush. And Angelle: that clip is amazing! Can't wait to see it on the big screen! Agree, great posting. You can really write Stella! 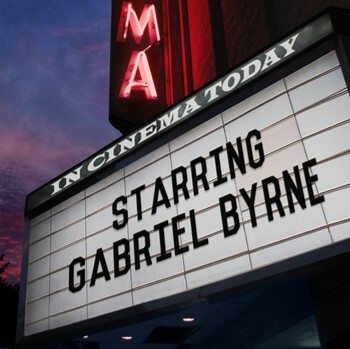 Love the movie and and Gabriels role in it. Thanks, Nora! You are so lucky to have seen the film. I know I was lucky! I saw the premiere of the movie in Oslo where Trier had a conversation after the screening. Loved the movie! It is full of emotions and interesting personalities.. Wish that you all will have a chance to see it soon. 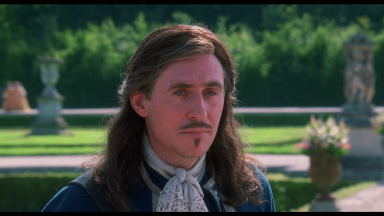 To see Gabriel Byrne on the big screen and to see Gabriel Byrne on stage sound like a fairytale to me. One of the best, I can imagine!